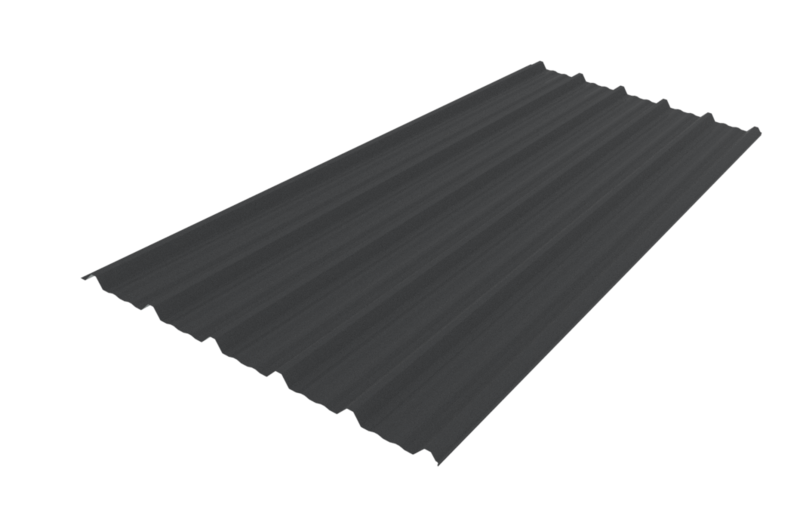 Offering clean lines and a strong visual appeal, Six Rib is ideally suited for cladding applications down to 4 degrees. Six Rib distinguishes itself with its lower rib height giving it a lighter weight looking appearance. Sheet lengths: Six Rib is custom run to order. In any category, spans above the maximum shown should not be used. Category 1 and 2 maximum spans are based on static point load testing as a guide, and further limited by practical experience of roof performance under dynamic foot traffic loads. Category 3 maximum spans are limited as a guide to achieving satisfactory appearance for wall cladding. Loads given are based on 5 screw fasteners/sheet/purlin. Loads given are limited to a maximum of 4.5kPa. If design requirements exceed this limit, Contact Dimond Roofing for specific advice. The span capacity of Six Rib is determined from the Six Rib Limit State Load/Capacity Chart using the section of the chart appropriate to grade and type of material, and to the category of serviceability selected from the three categories below. Serviceability loads have been derived by test to the NZMRM testing procedures. To obtain an ultimate limit state load we recommend factoring the serviceability load up by 1.4 in-line with NZMRM guidelines. The capacities given do not apply for cyclone wind conditions. Fasteners that are used to secure Six Rib down as a roof cladding must penetrate into the purlin a minimum of 30mm for timber and 6mm for steel purlins. For wall cladding, the fasteners must be long enough to pass through the substrate, cavity batten and into the solid framing by 30mm for timber and 6mm for steel. The Limited State Load/Span Capacity Chart is on 5 screw fasteners/sheet/purlin without the use of load spreading. On end spans, or large internal spans where the Ultimate Limit State distributed load is limiting. Contact Dimond Roofing for specific advice in these design cases. Whenever the designer wishes to ensure the risk of fastener over-tightening will not cause dishing of the crest of the profile rib. Use in serviceability categories (1) or (2) can allow the reduction of fasteners to an average of 3 screw fasteners/sheet/purlin. If this is done, the distributed load capacities given in the chart should be reduced using a multiplying factor of 0.6. Restricted access roof, 0.55mm G550 steel Six Rib has a maximum end span of 1500mm and a maximum internal span of 2200mm. The following distributed load capacities apply.